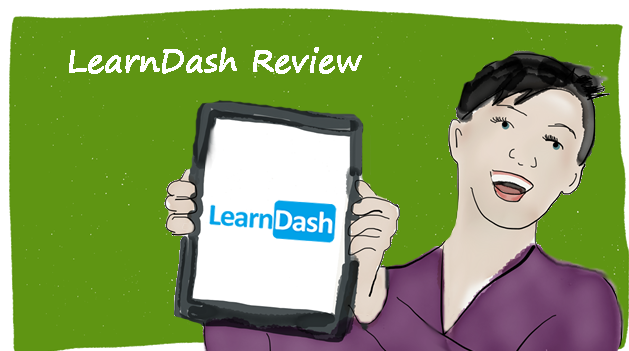 Home » Blog » LearnDash Review: Does It Deliver the Best in Online Course Creation? That describes my familiarity with WordPress. I’ve had a serviceable WordPress website for half a dozen years. I built and periodically tweaked it on my own, but it’s neither fancy nor custom. I know practically nothing about HTML, CSS, or PHP. 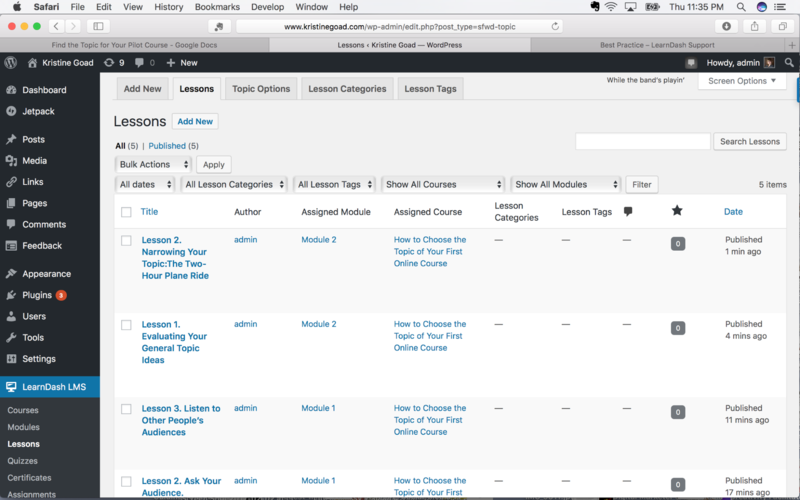 So I knew testing LearnDash, a WordPress plugin for building courses, would be a bit of a stretch. I knew I might break a few things—but I had no idea what I was getting myself in for. I was excited to test LearnDash because one of my colleagues, who is much more tech savvy than I am, had hinted that it had “huge capabilities.” I wanted to see what those capabilities were. Unfortunately, I learned that LearnDash’s huge capabilities weren’t going to be quickly or easily unlocked by me with my current capabilities. This was my first attempt to create a course using a WP plugin. I hit my first snag right off the bat: I signed into WordPress.com, where I have four free sites, and tried to upload the LearnDash plugin—only to realize that you can only upload plugins to a WordPress.org site. After a period of panic, I remembered that my main website is a WordPress.org site, and after several more minutes of searching for my login details, I was finally able to get into that site and upload the plugin. If you’re a more experienced website creator or WordPress user than me, that should give you a good idea of the skill level from which I am evaluating this plugin. Feel free to take this review with a grain of salt! Once I had made it past that first hurdle, creating the basic architecture and uploading the content for my course turned out to be a painless and straightforward endeavor. 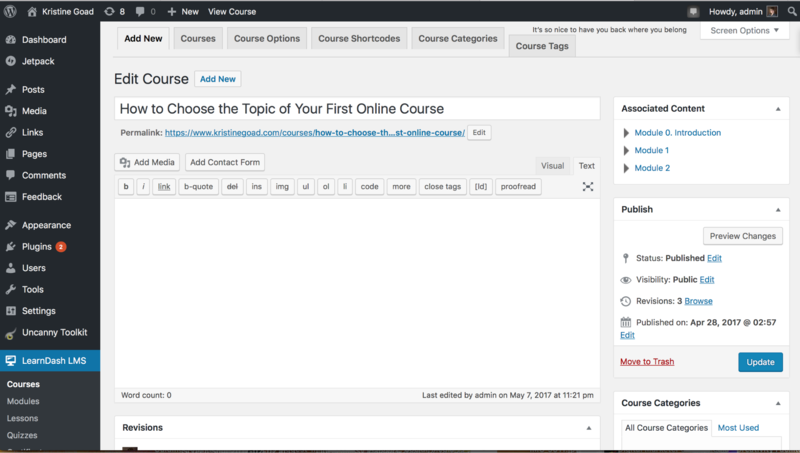 If you’re familiar with creating pages or posts in WordPress, you’ll be comfortable creating course modules and lessons because they’re built from the same WordPress dashboard. In fact, I uploaded and registered the plugin and built three modules—consisting of 5 lessons, a 4-question quiz, and a certificate of completion—in just one hour and 45 minutes. I merely followed along with the “Best Practices” support document in the Getting Started section of the LearnDash Help Topics page. This would have been even quicker if I hadn’t had to figure out how to get Safari to stop automatically unzipping the LearnDash file (WordPress will only upload a plugin as a zipped file)… and if I didn’t have issues with my SumoMe Welcome Mat continually popping up instead of going dormant after the first encounter. The student had to manually mark each lesson or activity completed, as well as the Module after all lessons and activities in it were completed. 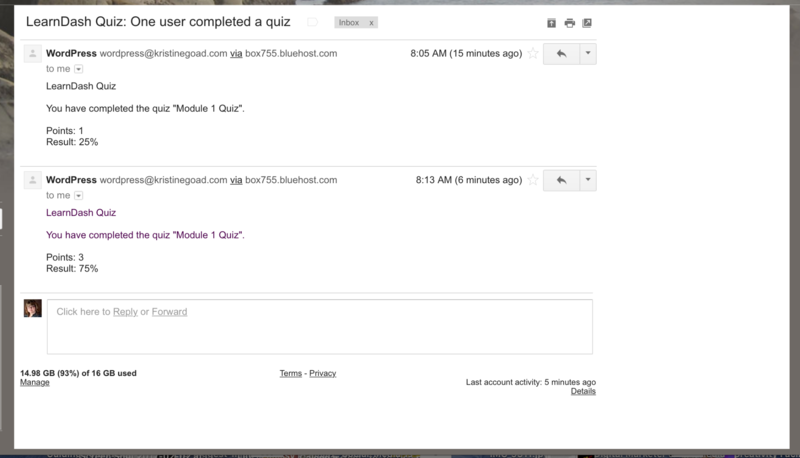 At the end of the quiz in Lesson 3 of Module 1, the student can’t navigate from the quiz results to the next module. 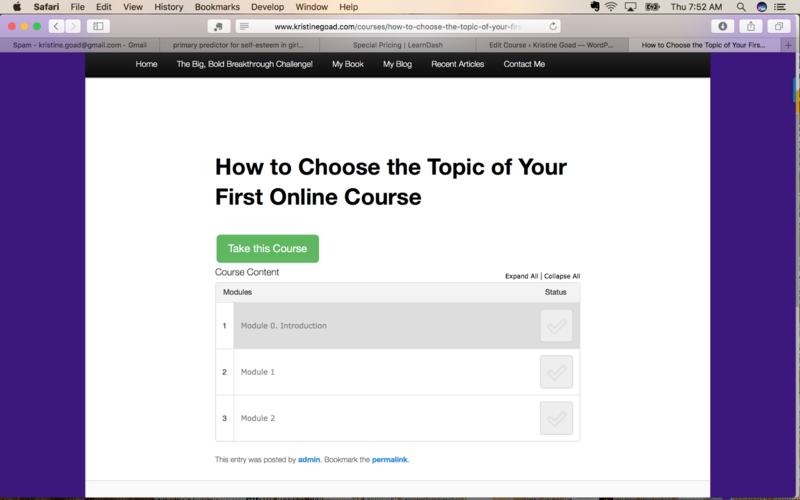 They have to go back to view the quiz questions, hit the back arrow in their browser to return to the course outline, and then click on the link to the next module. Talk about clunky. At the end of the course, the student couldn’t tell that the completion certificate had been awarded. Neither was there an easy way to find or print the certificate. Up until this point, I had left the course unpaid (you can either make it Free or Open). I realized that with the Open option, I couldn’t capture a student’s email address, which I would want in the future. 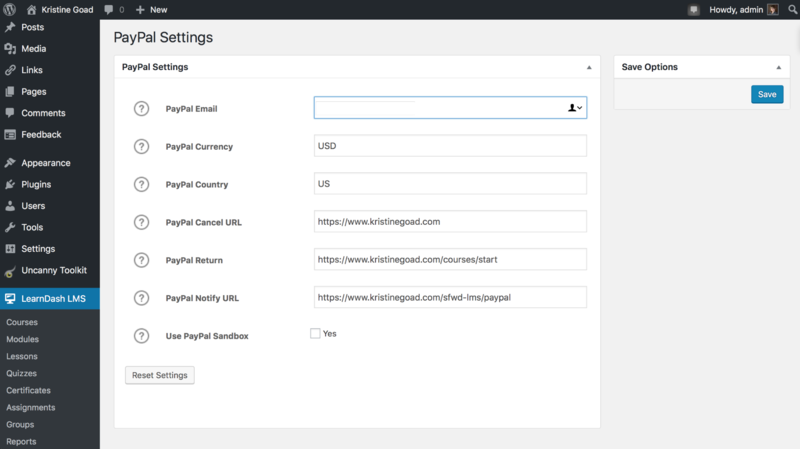 I also wanted to see how hard it was to set up the PayPal integration for a paid course. So, I change the course from free to paid. I set the price at $1.00 and chose the “Buy Now” Course Price Type (there’s a good chance I should have chosen “Closed,” based on info I learned later). And then, because I already use PayPal in my business and the “Best Practices” document said it was easiest to set up, I chose PayPal as my merchant option. Other options include Stripe and 2Checkout, among others. This was my first encounter with a Sandbox (a secure environment in which you can test your processes without actually affecting the application running it), designed to let me test the payment process without any money exchanging hands. I learned that I needed to create a Sandbox account with dummy PayPal information prior to running the Sandbox tests. Unsure of how long this might take to set up, I opted instead to test the payment process by simply paying myself the one dollar course fee. The payment process worked perfectly until I tried to move from the receipt to the course. The “PayPal Return” link that had auto-populated in the PayPal Settings and that specified where a student would be taken after payment, took me back to the page with the Buy Now button. It didn’t recognize that I had already paid and should be allowed to start the course. This is when I realized I didn’t know where the course “lived” on my site. The course had an automatically-created permalink—but it led to the payment page. I had no idea where to send someone to actually start the course! I could have set the PayPal Return link to take a student right into the first module of the course, but I wanted to take them instead to an index page with the course outline and the ability to navigate between modules. Now it became clear that a paid course was going to require additional pages: a landing page or course start page, at the very least, and perhaps also a login/logout feature. I consulted the Help Topics page and found an article called “Options for Selling Courses.” I decided to follow that to help me finish setting up the paid course. Unfortunately, it didn’t answer my core question: Where does my course live? Where is my course start page on my website? It directed me to consider creating a Student Profile page to send students to after payment. This would show all the courses on my site that the student was enrolled in and serve as a home page of sorts for my students—but I still didn’t know where to send them from the profile page to actually begin the course. The article ended by sending me to a link to another article called “Setting Up Course Login” that would help me create a login/logout function for paid students. Hoping this would help me solve my problem, I followed the article’s instruction and added another free plugin to my site called Uncanny LearnDash Toolkit, which promised to offer additional functionality. Unfortunately, creating a login function didn’t solve the problem of where to send a student to begin the course. In fact, it created a new problem (that I haven’t fully resolved as of this writing). When a user logs into the site with their credentials, they will be taken to the default WordPress backend administration page. You will want to set-up a redirection to another page instead. When I discovered this meant students were being set up as users on my WordPress site, I freaked out. No, the students weren’t being given Admin status, but they were being pointed to my WordPress Dashboard, and this made me uncomfortable. AND… it still left me with the question of where to redirect them to! … which is when I, even as the Admin, lost the ability to log into my own WordPress Dashboard! Suffice it to say, I changed the course back to “Open” immediately and sent off a help ticket to LearnDash for help figuring out where to redirect students after payment. The response I received made it clear that I either needed to create a page to redirect students to or install a shopping cart feature (instead of using the built-in PayPal integration) to be able to redirect students back to the start of the course they just paid for. a) Leave the course I have created set up as Open. b) Re-create the architecture of this open course (i.e., recreate the index page) in a new course (with a different permalink url), set that to Buy Now, and make it the page that a potential student sees when they want to sign-up. c) After a student pays for the course in step b, the PayPal receipt will redirect them to the Open course I have set up in step a. NOTE: Because students will be uploading files to your site, LearnDash recommends having students upload large files (such as video) to Vimeo or Wistia and submit the link through the Assignment portal. NOTE: As of this writing, they are running a promotion that reduces these fees by $30. This promotion appears to run frequently. I loved how easy it was to create my online course and the familiarity of using the WordPress editor. It was a very straightforward and familiar way of working, which boosted my confidence. If I could have figured out the login and redirect issues, the course creation process would have been quick and pleasant. I’m also completely in love with the Quiz feature! The range of different quiz formats and the ability to give instant results and explanations to students—or grade the quiz myself and attach personal comments—offer great flexibility and opportunity to make the quizzes interesting and valuable for students. I felt my brain getting more creative in figuring out ways to assess students’ grasp of the content. Instructors can also elect to receive email alerts when students complete a quiz and to download CSV reports of student progress through the course. 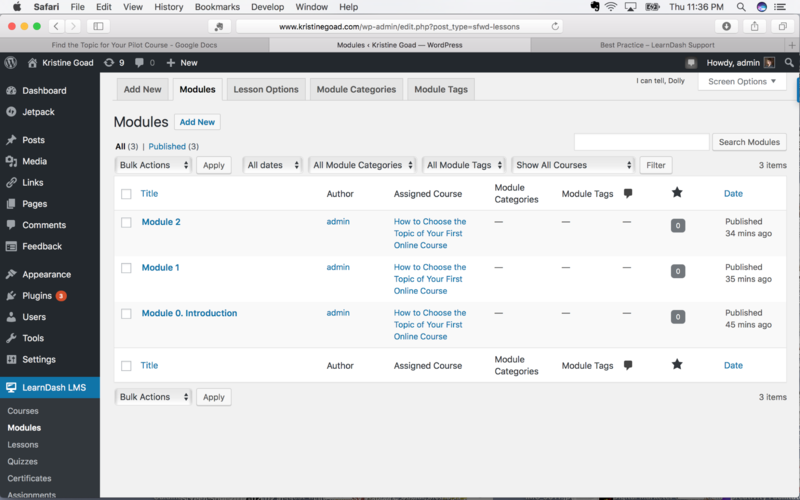 Another potential plus for LearnDash is the number of ways a course can be customized. I’m not sophisticated enough with WordPress to easily implement them, but a more experienced user—or someone with more time and tolerance for breaking things and figuring out how to fix them—can use a multitude of additional plugins (some free), upgrades, and integrations to create a unique, rich, and professional-looking course site. track student progress through a Gradebook. Finally, while I would have liked to be able to test the plugin without purchasing it, I appreciate the 30-day refund and the price. Creating a course through a WordPress plugin on your own website, rather than on a third-party host or marketplace, could save a substantial amount of money, even if you elect to renew your license each year get updates and extended customer service support beyond the first year. And perhaps this is an issue I will have with any WordPress plugin (and demonstrates my inexperience and ignorance of how tech works): I don’t want to clutter up my main WordPress site administration backend with users as a result of creating a student login function. If I were creating a website specifically for courses, perhaps this wouldn’t bother me. And while there does seem to be a good amount of documentation on the LearnDash Help Topic page, I would like better, more comprehensive documentation. As someone with limited WordPress experience, I’m not used to going in search of additional plugins or upgrades to add functionality to a site. So something that gives an even higher level view of what’s possible and where to find all the pieces would be appreciated. or, c) the willingness and ability to hire LearnDash or a developer to create the custom site they want. From what I’ve seen, LearnDash can produce very professional courses with extensive functionality, so if you’re looking to create a highly polished site, LearnDash might be the right choice for you. It might also be a great choice for a do-it-yourselfer who wants a tool that will grow with them as their skills advance, or for someone who ultimately wants to create a course marketplace and offer licenses to other instructors. Create or curate the content for each lesson, including writing the text, creating videos, recording audios, selecting photos, writing quizzes, or designing infographics (Remember: it doesn’t have to be fancy to be effective! Play to your strengths and don’t spend a lot of time learning new techniques in the beginning). Decide whether you will integrate payment into the course or manage that elsewhere and what payment processor you will use. 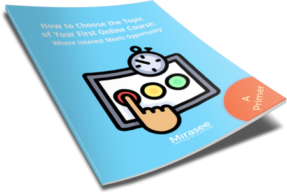 Decide whether you will want to add forums, badges, or a social media component to your course. Make a list of the plugins you need to add those functionalities (such as bbPress, BadgeOS, and BuddyPress) and what integrations (such as Slack or Gradebook) you want to include. Upload the Uncanny LearnDash Toolkit plugin and follow the information in the Uncanny Owl Knowledge Base to turn on extended functionality, especially for lesson auto-completion and certificate delivery. LearnDash delivers on its promise of dynamic and engaging courses, provided you’re skilled enough (or patient enough) to unlock all of its potential. It offers a large number of integrations, upgrades, and compatibility with other plugins that allows an experienced WordPress creator, or a resourceful and adventurous newbie, to create a highly professional, totally custom online course for a fraction of what a third-party platform costs. This is a great tool if you want something that will grow with you, your skills, and your business over time. However, if you are a first-time course creator who is in a hurry to get a course online, not well-versed in WordPress, or want all of your tech in one place, this may not be the best place to start your course creation journey. If you, too, are new to the world of WordPress plugins, how comfortable are you with trying one for building your course? Do you feel the opportunities for a custom site on your own virtual real estate outweigh any potential frustrations you might encounter? I’d love to discuss your thoughts. Leave me a note in the comments below! Excellent review, Kristine! I’m going to be using LearnDash, and the first thing I noticed… where’s the great documentation that helps you learn everything LearnDash does and the steps in the right order?????? I’m really worried that I’ll spend a lot of my time banging my head and still not have a clue about 10% of it’s functionality. Thank you, Diane. Yes, the Getting Started documentation is great, but I would love it if there were something that outlined all the possibilities of where you could get to using LearnDash–and then showed you which plugins you needed and how to configure it all. I think the documentation expected a level of sophistication with WordPress that I have not yet attained, and I’m not familiar with all the plugins out there to be able to envision the possibilities for myself. I am confident, though, that you will end up with a great site that will do everything you want and that you totally LOVE! I’d love to hear how it goes! Fantastic post Kristine! I can definitely feel your fear and frustration with the set up! It’s exactly how I imagine many people who want a LMS on WordPress to feel. I’m a techie – and while I’ve built a bunch of courses on WordPress, I forget that non-techies who don’t know HTML, CSS, PHP are going to feel incredibly lost at trying to navigate this world. Thank you for capturing it. To answer the part where the LMS creates a username – that’s common in every plug-in that has to manage users. 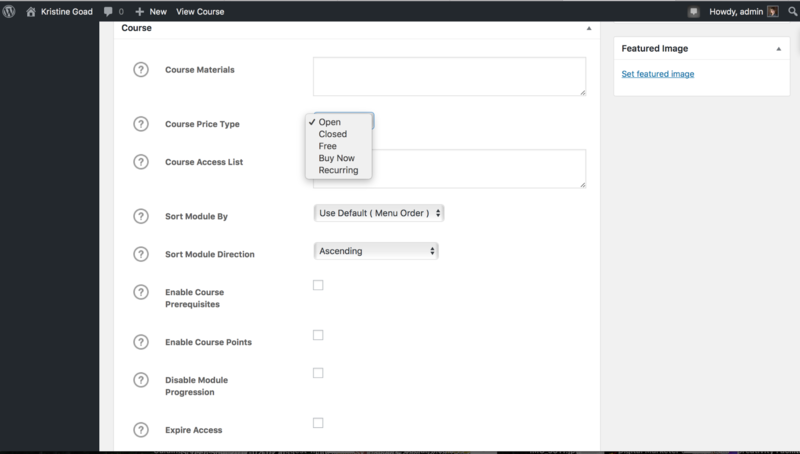 In order for your students to log into the course, a user account needs to be created. There are different tiers of access. It gives your students the ‘subscriber’ access, which is just the power to view pages and comment. Unless it’s to manage permissions, I don’t look at the user section on our courses because you’re right — it does get clogged up with thousands of student names! Thank you for the support, Rocky! It’s nice to know someone sympathizes. Since the subscriber access piece is a necessary component for using a WordPress plugin, perhaps you could write a quick tutorial to teach the rest of us how to point our new students away from the backend dashboard and toward the course 😉 ? I have a suspicion it’s not that difficult–there’s just something very important that I’m missing…. Almost all membership plugins (And LMS plugins) automatically hide the backend from the “subscriber” role users. If you’re not sure if Learndash does it, create a test user with the “subscriber” role. Then log in as that student. If you CAN see the backend, look for settings to disable it. Wow, Rocky! Thank you for that article–I will definitely check it out. Solving that single issue for myself would make using a WordPress plugin so much more attractive and so much less intimidating! 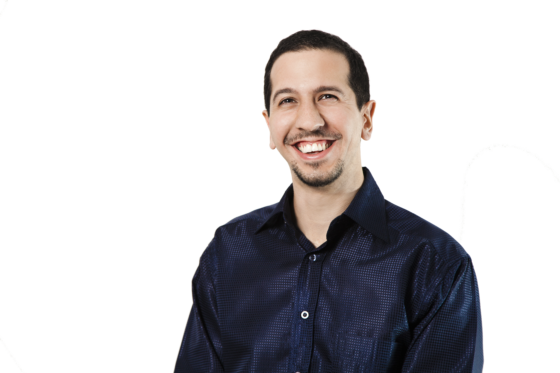 Hey Rocky, which LMS plug-in do you feel is easiest to create courses? Which do your clients like best? In terms of absolute easiest – so easy that a 5 year old can figure out — I direct people away from LMS plugins and suggest Teachable. We did an internal experiment, bringing in tech novices to see how quick they can build courses in various platforms. Teachable was voted the most easiest from their perspective. Wow, I want to commend you on such a well-written article! You highlight such an important point when it comes to using WordPress as a learning management system: the learning curve can steepen depending on your learning program needs. I have seen this first hand over the years. Thank you again for taking the time to write about what we are doing at LearnDash. It’s always nice to read feedback like this as we continue to refine our offering. That’s a great post that you wrote – Justin! Thank you for your kind words. It’s a bit scary admitting how much I don’t know, but that’s the only way I could give readers a good context for the review. I know I would have encountered most of my issues–or opportunities for learning 🙂 –with whichever LMS WordPress plugin I experimented first; it just happened that LearnDash was the one I was assigned. I love the article you link to in your comment! It does a great job of helping someone evaluate their skill level–and their level of adventurousness when it comes to learning new things–and make a decision whether a WordPress plugin or a standalone option will be better for them. 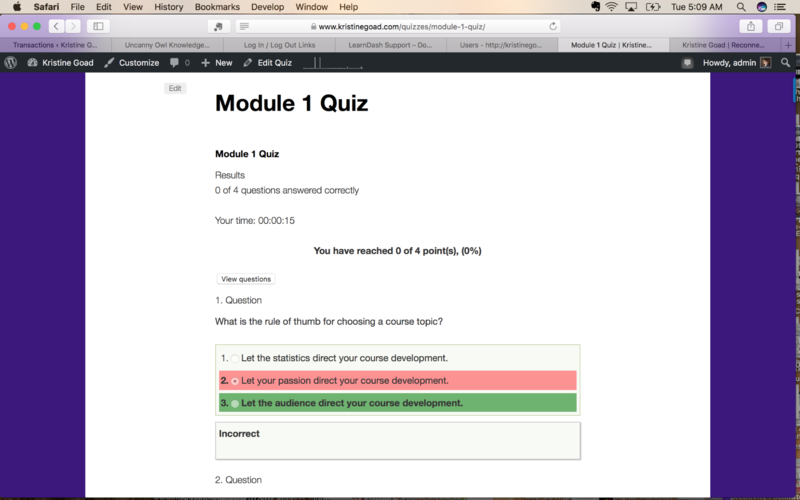 I loved exploring the LearnDash plugin (seriously, that Quiz feature is amazing!) and look forward to a day when I know a bit more and might be able to unlock more of its magic! Wishing you the best of continued success, Justin! Awesome review, Kristine! Thank you for taking the time to do this. I am very experienced with WordPress and have been wondering what the inside of LearnDash looks like. Your issues with the shopping cart page, check out, etc. might have been solved by starting with a WordPress theme that is pre-built to integrate with WooCommerce and bb Press, and comes with template pages for the shopping cart, product pages and check out, etc. I think I might have to jump on it now with that sale going on! Thanks again! Hi, Sheri. Thanks for your kind support! I LOVE the suggestion that a different theme would have helped resolve some of my issues–that seriously never occurred to me 🙂 Tips like those could really make a difference for a new user. I think LearnDash could be an amazing solution for someone like you who knows her way around WordPress, and I hope you love it! If you’d like to share more about your experience after you’ve used it, it would be great to hear how things go for you. I have been working with the WordPress and surely need to look forward how the Learn Dash tends out to be. short one’s which would be done within a month. check out what more this bundle got within themselves. I love that you are interested in checking out LearnDash further! It has a lot of power to create exactly what you want, and since you have WordPress experience, you are much less likely than I to have difficulties. Enjoy the course-building journey. I am wishing you the best of success! beware using Learndash with Formidable forms. I found out from Learndash support that Learndash is not compatible with Formidable forms. They recommended as a solution to buy gravity forms instead. @Allen Jacques – Thanks for the heads up!